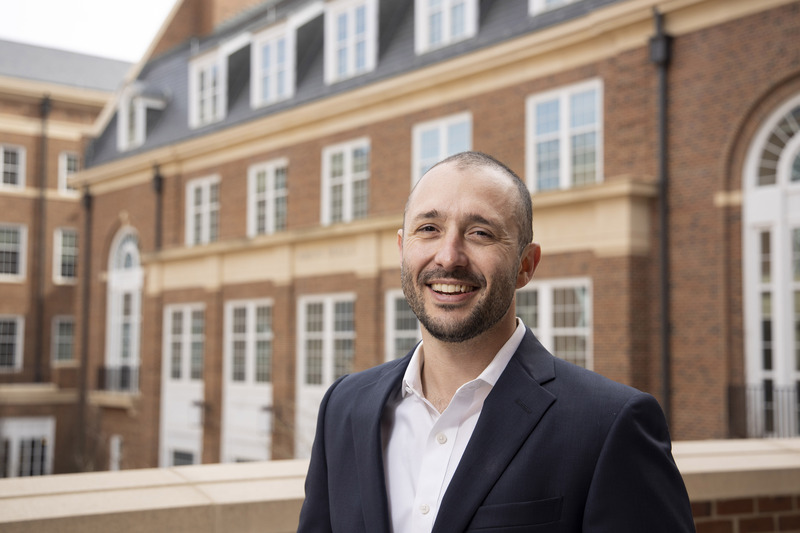 Tim Samples, an assistant professor in the Terry College of Business, gives students research and study abroad opportunities that explore the intersections of law, society and business. I got my B.A. in international affairs right here at UGA. Soon after graduation, I moved to Santiago, Chile, for a job but eventually came back to the States for graduate school at the University of Texas at Austin. Currently, I teach international law and business in the Terry College, but I also teach first-year seminars and study abroad courses. My research focuses on legal aspects of the interactions between markets and sovereign states. I left a job at a large international law firm to join UGA in 2013. I chose UGA over another offer because I was excited to work at the Terry College and learn from my colleagues here. Plus, having been an undergraduate here, I already loved UGA and knew I would enjoy life in Athens. I love teaching our courses on international law and business. It’s never dull, and the potential for connections between course concepts and current events is almost unlimited. Plus, our students are terrific and almost always eager to participate. I also really enjoy the flexible format and small size of First-Year Odyssey Seminars. Interacting with students during their first semester at UGA is special—their energy is contagious and they really impress me. Their knowledge is so much more advanced than mine at that stage. A teaching highlight was taking students to Cuba on study abroad. I can’t think of another place in the world that has such deep connections, historically and culturally, to the United States, yet such a drastically different political-economic model. That contrast offers vivid and unique learning opportunities. 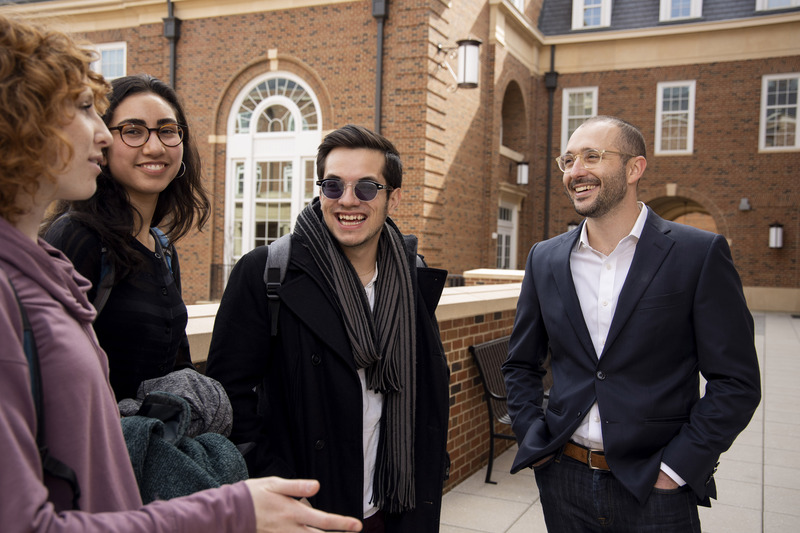 Another was receiving a Fulbright Scholarship to conduct research and teach courses on sovereign debt at the Facultad de Derecho (Law School) at the Universidad de Buenos Aires. That was a dream come true. If you had told me when I was living in Argentina for the first time—at 21 years old—that someday I would be teaching law there, I would have laughed in disbelief. The most recent highlight was authoring an amicus curiae brief for a case that Argentina appealed to the Supreme Court of the United States. That case involves some of the issues I’m most interested in—sovereignty, investor-state disputes, foreign relations and more. Several other scholars I really admire joined the brief, and it was just fun to apply my research in that way. My research focuses on issues that arise when sovereign states interact with markets. For instance, my work deals with sovereign debt crises like those in Argentina, Greece, Ukraine or Venezuela. I also study investment frameworks and how disputes between foreign investors and national governments are redefining the meaning of sovereignty in the modern era. Research questions at the intersections of law, society and business are especially compelling to me. Sometimes these topics make news, and I’ve been lucky to have had opportunities to comment on the scope and impact of my research in the business press and other media outlets. I try to embrace the challenge of framing issues in ways that people outside of my field can readily understand. Discussing our expertise with other experts is easy. Communicating with broader audiences is difficult, but perhaps more important than ever, especially in an age of information saturation and even disinformation. They are symbiotic. Conversations with students have stimulated research ideas and help me understand my own scholarship in new ways. I’ve also worked directly with students as research assistants, including through CURO, which is productive and mutually rewarding. And scholarship definitely enhances my teaching. Research provides me with cutting-edge information and perspectives to share in the classroom. I also rely on research to connect concepts and learning objectives with global issues and current events, which bring to life the information I’m trying to teach. The intellectually curious ones, diligent enough to work hard and with enough pity in their hearts to laugh at my jokes. Through my classes, I hope students take a few steps toward understanding and thinking critically about how the world works. That journey never ends, but I think it’s a worthwhile and exciting process, one that makes us better managers, citizens, decisionmakers—whatever our career or role in society becomes. … walking across old North Campus in the fall. I struggle to isolate singular favorites. A friend of mine recently quit a Wall Street job to spend more time writing, and he’s been force-feeding me fiction recommendations ever since. It’s been great—I love fiction but it’s easy to neglect when you read professionally all day, like many scholars do. But I think that’s a mistake. Of fiction writers I’ve read lately, Lauren Groff, Mohsin Hamid and Haruki Murakami really stand out. But I was also surprised by how much I enjoyed “For Whom the Bell Tolls” by Ernest Hemingway when I picked it up last year.